To many people, spirit guides are entities that we choose, or are helpers that are assigned to us before birth. To others, spirit guides represent parts of our unconscious minds that symbolically help us to find wholeness. ​No matter what you think of spirit guides, and no matter how “new age” or “down-to-earth” your understanding is, it is beyond doubt that we all need guidance, direction and support in life beyond our own capabilities, or those who surround us. Spirit guides are often thought as spirits that guide us, but in my interpretation and experience with them, they are entities that guide our spirits to greater clarity, freedom, joy and peace. 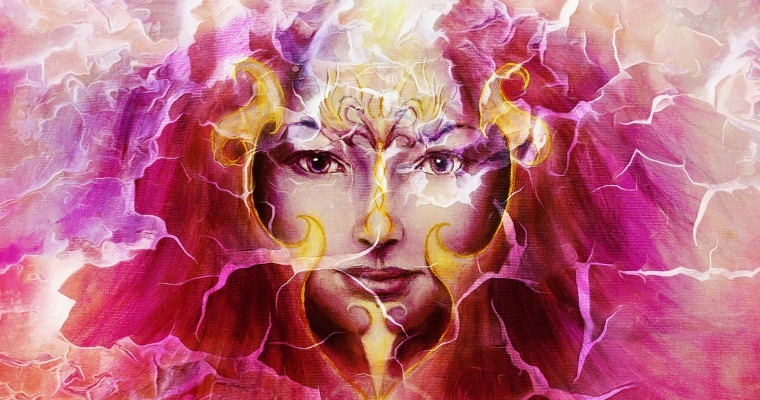 If you are just beginning your journey of connecting with your spirit guide, I would recommend first learning about the many different types of guides that exist in our realm and the incorporeal one. 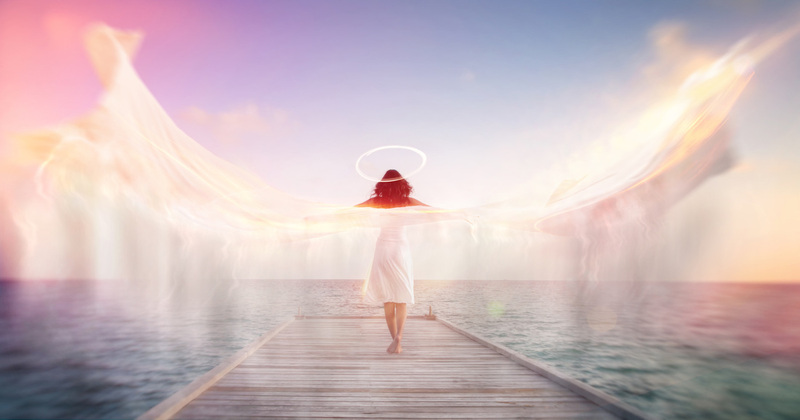 ​Right now, it seems to be a common trend to believe that spirit guides are primarily animals or angelic beings – but this is only one small dimension of the many possibilities that exist out there. Spirit guides, I believe, can have unlimited shapes and forms. A spirit guide could just as easily be a soft gust of air that makes the hairs on your arm stand up, as it could be a full blown godly being that you meet during a shamanic journey. There are so many possibilities out there, and below I will break down the main “types,” “species” or forms of spirit guides which you might encounter on your path. Remember, you can have more than one, and most people often do! Animals are well-known spirit guides and have gained a lot of popularity over the past few years, perhaps thanks to their accessibility in our everyday lives. Some ancient cultures, such as the indigenous Americans and Chinese had animals as sacred representations of their tribes or lineages. These days, animals come to represent and reflect a person’s own inner yearnings and needs, moving from group use to more personal and individual use in this day and age. I wrote an article on popular species of animal spirit guides here. Many people describe “light beings” (also commonly known as guardian angels), as being their spirit guides. Light beings are said to particularly help people move through traumatic areas of life such as death, loss and grief. Light beings are called such because of their tendency to appear bright, glowing or full of light. Ancestral guides are entities that have some kind of blood connection to us and our lineage. An ancestral guide could be a recently deceased member of your family (mother, father, aunt, grandfather), or a long dead relative that you have perhaps never met in your lifetime. When I have done shamanic journeying in the past, I have connected with what I consider my ancestors. To me they appeared as shadowy beings that felt distinctly familiar. They taught me that although I felt alone and isolated in my current family, I am part of something vastly larger. The messages our ancestors bring can be beautiful and life-changing. Shamans believe that the world and everything in it is composed of vibrant, living energy. This includes plants. Ayahuasca – a psychoactive brew that is made out of a vine commonly found in Peru – is one of the most well-known ways of getting in touch with the spirits of nature. Interestingly the Banisteriopsis Caapi vine is known as “the vine of the souls,” and it is common for all those taking it to feel guided by the plant into the realms of inner and outer existence. The same can be said for many other psychoactive (and non-psychoactive plants). Plants can either be symbolic, like in pagan traditions that associates certain qualities with certain plants, or experiential, where ingesting the plant stimulates mental, physical and emotional expansion. Gods and goddesses have been worshiped, feared and written about since the dawn of time. They span across every culture, every tradition, every religion and every part of the world. Common gods and goddesses that serve as spirit guides include Athena, Quan Yin, Apollo, Lakshmi, Lugh, Kali, Hathor, Horus, The Green Man and Selene. ​Ascended masters are beings that have already lived on this earth but have become enlightened, awakened or have transcended the cycle of reincarnation. Thus, ascended masters represent the ultimate teachers and gateways to the divine. It is said that ascended masters, like all spirit guides, teach all people who call on them (not just you) to achieve greater wholeness and harmony in life. Common examples include Krishna, Jesus, Confucius, Kuthumi, Melchizedek, Mary the Mother of Jesus, Babaji, Gautama Buddha, and many others. Spirit guides are just as varied and diverse as human beings are. It is likely that during your lifetime you will have many different types of guides for many different purposes. Whether you seek to connect with your guide/s through meditation, singing, trance, psychoactive journeying, ritual or simple observation, it is comforting to know that help, in many different shapes and forms, is there for your taking. Indigo Children, Who Are They And How Can We Support Them?